Mariya Gibson also known in the Pacific NorthWest USA as Kat Phoenix is a professional relationship builder, geographer, re-wilder, transitional path coach, and environmental scientist. Her background as an active geographer throughout different areas of the West Coast and lifetime experience with different traditions around the Pacific Rim influenced her study and love of nature and how she shares this awareness with the people seeking to re-claim their calm, restore their vitality and re-power their being to manifest the life of empowerment through happiness and mastery in the wild. Her journey has taken her to research with the relationship drives of people within a certain place in relation to the space of nature. Kat is passionate about the relationships that form within an individual’s strive for thriving in the wild with connection to re-homing a community and how it relates to our physical environment. Kat’s diverse and vast library of lifetime of experience of travel provided her with the path to master different lineages of spiritual energetic connections from Japan, Taiwan, Philippines and Hawaii. Kat is a direct lineage descendant of the Tagalog tradition, meaning “people of the river. ” Besides her academic training, she is a continuous researcher and teacher of an energetic pathway that connect us to earth through our relationship as people; intertwined with the water of the river and food from the trees called “The Source”. Her lineage is filled of stories from her ancestors about the constellation of The Hunter, Orion, The Bear and a resurrecting red-purple fire bird called “The Bright Phoenix” of which she shares during the Bright Phoenix re-wilding retreats as she travels through this realm. She spent more than 6 years learning from ancient wisdom teachers of the landscape and human relationship connections traveling to sacred sites including Joshua Tree, learning from the ancient descendants of Pele from the Big Island of Hawaii, The Shoshone at Death Valley, Pine Grove, Mt. Shasta, Medicine Lake, Crater Lake and many other sites across the globe. Her scientific approach of the human drives in each domesticated person a captive environment is built on her years of experience working with elite organizations including the Washington Post, Kaplan and The Oregonian. Currently, she is the Director of the re-wilding organization called “The Bright Phoenix” whose mission is to restore, re-energize, and re-power each individual to claim their calm so that each person can explore their inner most potential through exploration, mastery to create a life filled with vitality, happiness and positivity. Kat’s professional background includes being credentialed as a Healthcare Staffing Professional with the ASA, and have at least 7 years of professional experience witnessing the drives and motivations of each being with their human potential in an urban and corporate environment. She left the corporate world to make a difference in the lives of people who are in search of their career path, to achieve their highest human potential through Vitality, Mastery, Exploration of the environment to bring Positivity and Happiness in daily life. She teaches her students how to utilize each modality to restore, re-power and re-energize your life. She can be found in the Pacific Northwest wonderland constantly listening, learning and exploring nature in its splendor through many modalities including hiking or backpacking. Kat adores anything that supports the local community, environmental science and cultural geography research on preservation of a diverse culture. 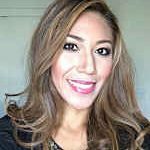 Besides being a relationship builder, Kat is passionate about latin dance, and outdoor trail running.